Michael Mobbs was born on 6 June 1950. Michael Mobbs gained his Bachelor of Laws from the Australian National University in 1975. He was an Associate Lecturer in the School of Engineering at the University of Technology, Sydney. He specialized in environmental law and policy for 19 years and was the policy and technical consultant to the NSW Parliamentary Inquiry into Sydney Water Board, 1993-94. He edited A Plain English Guide to the Law, a citizens and professionals guide to the law. Mobbs is the principal and managing director of Michael Mobbs Sustainable Projects and Design Pty, specialising in the design and project management of sustainable water, energy and recycled water projects for the residential and commercial markets of Australia and has written Sustainable House. He has incorporated his principles of sustainability into his own Chippendale residence. 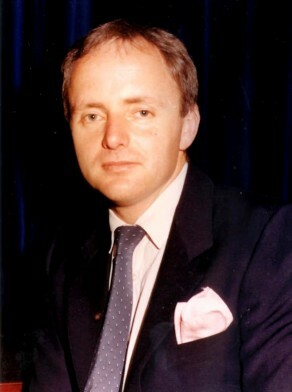 Michael Mobbs was Alderman for Phillip Ward, 7 September 1985 until 25 March 1987 when the Council was abolished and replaced by a three men Commission. Mobbs replaced Michael Matthews who resigned as Sydney City Alderman. He was a member of the Major Buildings and Development and City Planning Committee from 1985 to 1987. During his time in Council he was responsible for the establishment of a temporary library in King Street Newtown in 1986, repairs to the Strickland Buildings, Myrtle Street Park, and traffic control schemes in Camperdown, Newtown, Ultimo, Chippendale, Pyrmont, and Haymarket. He was an Independent.